Yoshi’s debut as a platforming star began with Super Mario World 2: Yoshi’s Island. Following its massive success, Yoshi would star in a good number of platformers from then on, some his own and others shared. When on his own, though, none quite hit the same high as his original adventure and many that tried to truly replicate it ended up being a flop instead. Woolly World changed this trend by being a new, yet familiar, take on the Yoshi formula that fans had come to recognize and ended up being all around fairly popular. 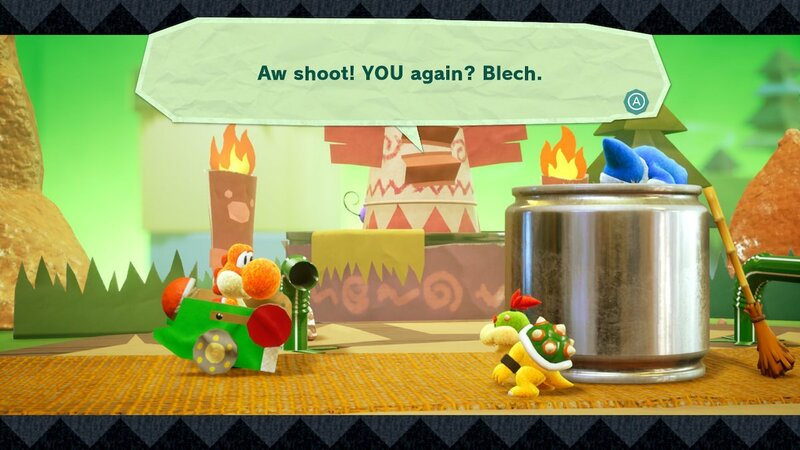 Now the latest is Yoshi’s Crafted World, which borrows a world of arts and crafts but takes a whole new approach while still having that familiar vibe to it. Just how well does it compare to the rest of the series that has come before it? Similar to most Yoshi titles, it all begins on their own island where a friendly clan are enjoying their relaxed life. Here on the island, the Yoshi take care of a mysterious entity known as the Sundream Stone. This stone allows the Yoshi to dream together and be happy with one another. Unfortunately, Baby Bowser and Kamek learn of the Sundream Stone and decide to take it for themselves. In a tussle between the Yoshi and Bowser, the Sundream Stone gets launched into the sky scattering themselves, along with the Dream Gems, across the world. The Yoshi know they must get them all back before anyone else finds them and dreams for something terrible. They send off one Yoshi to go on their way and find all the Dream Gems before Baby Bowser can get them. While the general story and premise are familiar, it shines with its witty dialogue that’s smart enough to get a chuckle out of people who enjoy the interactions between Kamek, Baby Bowser and Yoshi. The main mechanic to Yoshi platformers is eating enemies to make eggs that can be thrown and his iconic flutter jump. These are the two key elements to making way through the many levels in Crafted World. The entirety of Crafted World is made of all sorts of crafty objects. Most will cardboard or paper themed, with other oddities littered around to make it really look like something out of a child’s imagination. After Yoshi turns enemies into eggs he can throw them at various objects from question mark clouds that give items or unlock things, to the new twist of Crafted World being the background items themselves. Occasionally there will be a background enemy or object that Yoshi can interact with by throwing an egg, so instead of staying on the 2D plane, Yoshi is now able to throw eggs in both the back and foreground to hit things. This adds a lot of depth to levels themselves and makes getting all the collectibles even more of an attentive task. There are two main collectibles in every Yoshi level while going through the first time. These are the smiley flowers and red coins which can be found be collecting or finding secrets along the way. The other two main objectives in every level to clear will be to complete at full health and get a minimum of 100 coins. Each objective earns a smiley flower, which is used as the main source of happiness among these inhabitants. Some locals are feeling unwell, and need the smiley flowers to really perk up. In addition to the regular collectibles, these locals will ask Yoshi to help them find souvenirs in certain levels. These souvenirs will be background objects that Yoshi must hit and are one way they encourage replaying levels for more smiley flowers. Once far enough, Yoshi will also run into his trusty companion Poochy. Unfortunately Poochy’s pups have escaped in every level and this means it’s up to Yoshi to find them. This unlocks the special reverse levels where Yoshi will traverse the flip side of already beaten stages in order to find the three poochy pups, with smiley flowers again as the reward. Unlike previous titles in the series, all of the items collected will also stay that way so there’s no need to find them again the second visit through the stage. During his adventure Yoshi will pick up tons of coins along the way, and while it counts as a bonus for the stage, they act as more than just points. These coins allow Yoshi to roll the gacha machines found in each area which is key to getting different cardboard costumes Yoshi can wear. These aren’t just for looks, though, as these cardboard costumes will actually protect Yoshi for a limited number of hits in a stage. There are normal, rare and super rare costumes to be unlocked and fortunately there are no duplicates, so players just need the money to see if they get the one they want. For the most part these costumes makes things a little too easy at times so are better off only being used when having a hard time keeping Yoshi at full health for the smiley flower bonus. Although they don’t offer any unique abilities based on their design, there are a lot of adorable ones that let Yoshi show off his favorite character or even boss in costume form. One big change from previous Yoshi titles is that bosses are no longer tied alongside actual bosses. There are occasionally mini-bosses, which Kamek will summon at the end of a level for Yoshi to fight, but there are also regular large bosses that have a stage all their own. These bosses are also some of the best in the series, as more than ever they have incredibly creative ways to defeat them using the different things that Yoshi has learned. Although they follow the traditional three hits to defeat, they are a great amount of fun and even encourage challenging again with smiley flowers available for completing certain objectives during the fight. Perhaps the biggest misstep of Yoshi’s Crafted World is the soundtrack. While there are a handful of enjoyable tracks, the majority tends to be re-imaginings of the main theme. They aren’t bad necessarily, but they pale in comparison to just how amazing both the original Yoshi’s Island and Yoshi’s Woolly World made every song feel like their very own adventure. The visuals on the other hand are outstanding and certain parts of cutscenes almost seem as though they were stop motion. The crafts aesthetic fits Yoshi wonderfully and does a great job making every pop out just right without feeling cluttered. It runs flawlessly whether docked or in handheld mode much like a platformer should. Two play co-op is available in Crafted World to begin with and is worth trying out for those who want to buddy up. The main aspect of co-op is one yoshi can ride on another during difficult sections or just for a laugh and it can often make gathering some secret a little bit easier. The only other occasional issue that came up was while aiming in the background it was easy to lock on to everything except what Yoshi should be aiming at, which for the most part wasn’t too much of a problem unless during one of the time challenges. From his laid-back nature to his optimistic look at the world, Yoshi is an easy character to love. He simply wants to enjoy the easy life with his friends, but should he need to comes to action and helps trouble from breaking out. In terms of gameplay itself, Crafted World is a great step-up from Woolly World. It feels closer to the original Yoshi’s Island, with some brand new quirks added in along the way. 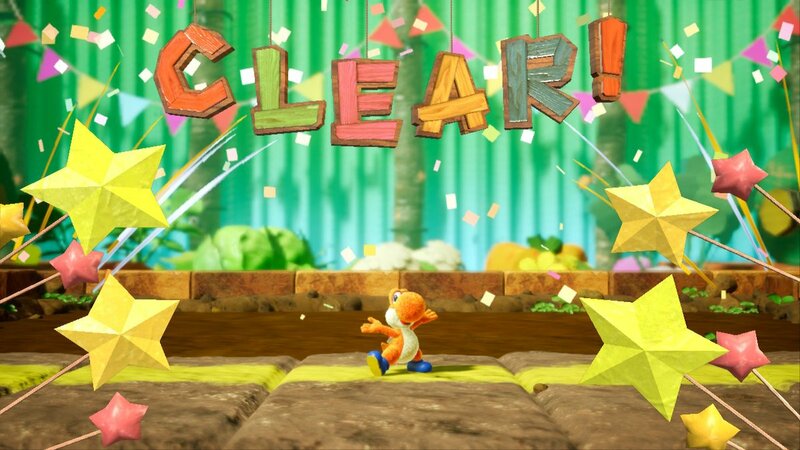 Every single stage in Crafted World feels like an entirely different idea come to life, which makes it all feel like a brand new adventure the moment Yoshi jumps in. 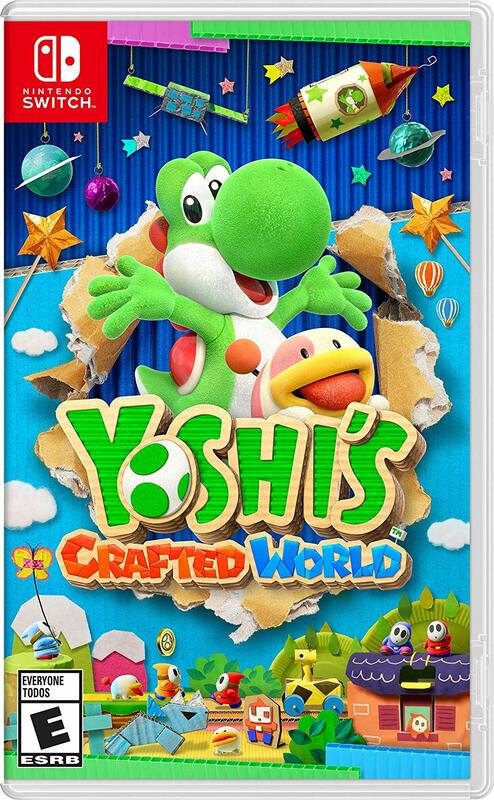 While the music is a bit of a disappointment, it’s still enjoyable and light-hearted the whole time which fits the soft adventures of the wonderful crafted Yoshi. 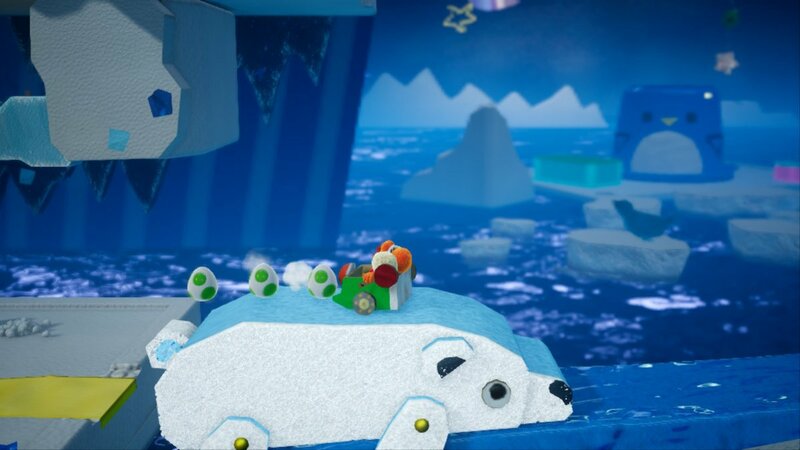 Anyone who enjoys the Yoshi series or is looking for a laid-back platforming adventure should consider taking a trip into Yoshi’s Crafted World.